The Bay of Laganas is in the southern part of the island and is famous for its natural beauty, with blue waters, sandy beaches and wooded hills. Marathonissi and Peluzo are two islets covered with typical Mediterranean vegetation which are located in the bay. The sea area of the bay and its beaches are the reproduction site of one of the largest population of the loggerhead sea turtle Caretta caretta in the Mediterranean. 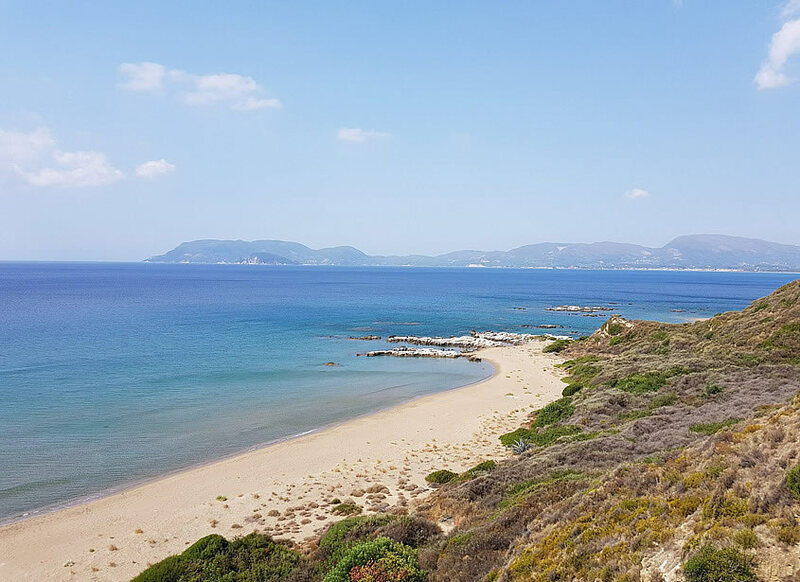 In the bay there are six beaches, 5.5 km long in total, Marathonissi, East Laganas, Kalamaki, Sekania, Dafni and Gerakas, hosting an average of 1,200 nests per year. The loggerhead nesting beaches, monk seal habitats, sea grass meadows, important bird migratory stopovers and habitats of endemic plants are included in the National Marine Park of Zakynthos. Part of the Park area is an important tourist destination, while in the zones of Absolute Protection and Protection of Nature the naturalness of the landscape is preserved. 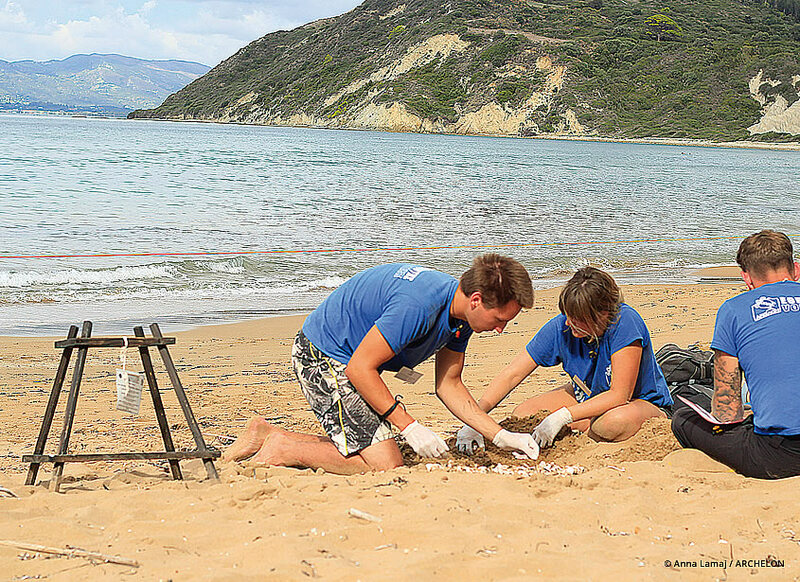 ARCHELON cooperates with the Management Agency of the National Marine Park, local authorities and other environmental organizations active in the Marine Park. 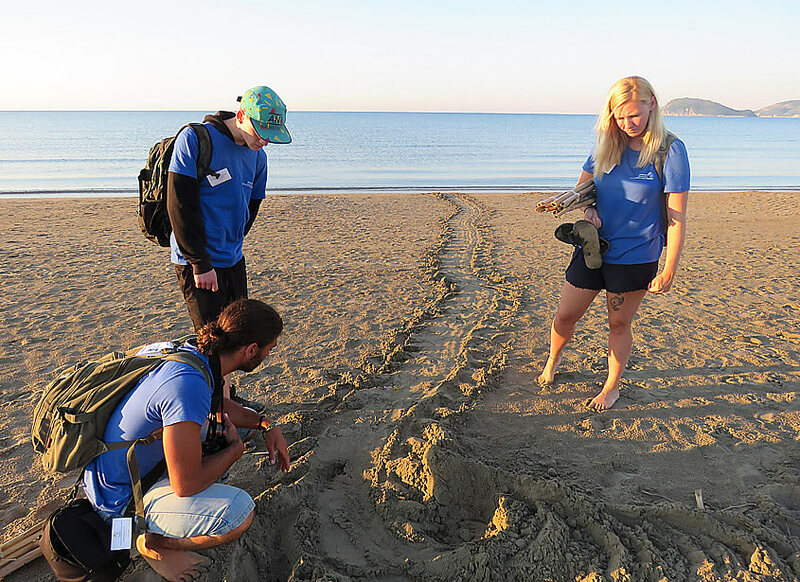 ARCHELON's project for monitoring the sea turtle nesting activity in Zakynthos began in 1984 and since 2000 it has been carried out in collaboration with the Marine Park Management Agency. Today the Zakynthos project includes the following activities. ARCHELON has an office in Zakynthos and the volunteers of the project live in a private campground in Kalitero, near the town of Zakynthos. During the summer of 2017, more than 30,000 visitors were informed by ARCHELON about sea turtles in Zakynthos.